Today I had chance to install it. Everything else went smooth but I got msnmgr.exe error when I was ‘first time’ starting the Windows Live Messenger. 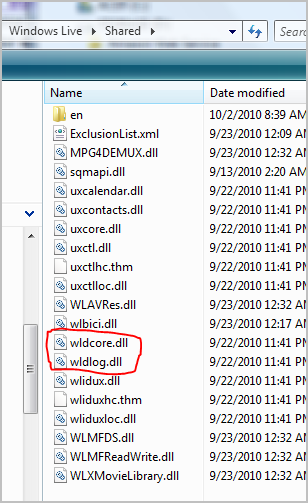 The error says The program can’t start because wldlog.dll is missing from your computer. Try reinstalling the program to fix problem. The error message was only thrown once. But after that every time I tried to login to Messenger it threw error 80040154. The solution link that leads to msxml3.dll fix didn’t help at all for this version nor reinstalling the Windows Live Messenger. Now I can login to Windows Live Messenger and enjoy the whole Windows Live Essentials 2011 products.